Ecommerce has turned into a rapidly expanding little industry that is changing the way people think about business. It is having a real impact on traditional bricks and mortar businesses around the world. 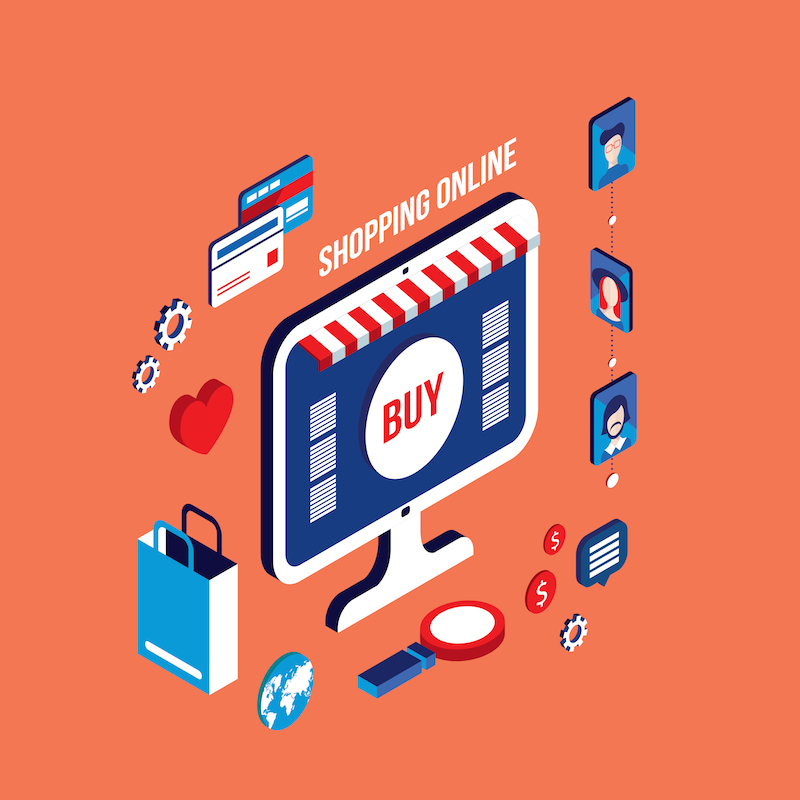 In the last 12 months alone, Australians have spent approximately $17.5 billion online and as the Internet continues to seep in to every facet of our lives, it’s a safe bet to assume that the ecommerce industry won’t be seeing a downturn any time soon. It’s easy to see why people and businesses have fallen in love with the idea of ecommerce — buying and selling online from the comfort of your lounge room is a far more attractive proposition than trying to fit a visit to the Emporium into our busy lives. The benefits for the seller are also enormous – you don’t have pay rent for a shop, you can hire fewer staff (if you need any at all) and the rise of shipping services means you can sell products from the other side of the world. All of this coupled with the availability of platforms like WordPress (with its myriad shopping cart plugins namely WooCommerce), Bigcommerce and Shopify, makes starting your own ecommerce business seem like a one way ticket to handing in a resignation letter, and watching the money pour in while you get acquainted with the wonders of daytime TV. Unfortunately, this isn’t the case. Setting up an ecommerce business is about as easy and requires as much effort as setting up any type of business. Take any shortcuts and you will pay the price. Put the effort in, and you will give yourself the best chance of creating a loyal customer base and enjoying healthy profit margins. So, here are a few things you need to understand before you start to head down the ecommerce path. People fall into the trap of thinking that you have to create a completely revolutionary, innovative and never-before-seen product in order to be successful in the ecommerce world. This isn’t the case and in fact, you can come up with an incredibly innovative product and still fall flat on your face. Why? Because there isn’t a need for your new-fangled invention. Instead of dreaming up ideas for a product, spend time researching markets. The Internet is the best way of doing this — you can look at online forums, read customer reviews do some keyword research. The objective of all this research should be to determine unmet client needs. What is it that people need in their everyday lives? How can you make their lives easier, more productive, or more fun? If you find the ideal target market and work out what their unmet needs are, then the best product will become apparent and it will be incredibly easy to tailor the product to fit the exact needs of the market. If you’ve decided to embark upon building an ecommerce business, then you still need to go through all the steps that you would if you were creating a bricks and mortar business. That means seeking out mentors, setting out achievable goals and creating long-term business plans that cover every aspect of your business from cash flow through to marketing budgets. The one intangible thing that every business needs, whether it’s a Milk Bar or an online store for personalised friendship bracelets, is passion. If you go into Ecommerce with the idea that it is an easy way to make money you’re going to be sorely disappointed. Setting up a new business can often mean being prepared to work without profit for years. Without passion for your product and passion for delivery, you won’t be able to bring the energy that your ecommerce business needs to establish itself and then flourish. There are only a few select people in the world that have a multiplicity of skills. Finding a market niche and creating a perfect product means nothing unless you can write the website copy and create the website to sell it. If you don’t have previous experience in writing copy or web design, then you should definitely outsource these needs. Trying to do it yourself is like trying to build a shop yourself – you might think it looks ok, but customers will notice how uneven the floor is. dYour words and your designs are your shop, they are the gleam that entices customers in. So, if you can afford professional help on these aspects, then be sure to invest in it. Let’s get one thing straight; email marketing is not the same as the junk mail in your letterbox. A well-crafted email marketing campaign will target the specific needs of your market base and give them regular updates as to how purchasing your products can fill that need. In fact, email marketing is responsible for 5-10% of online transactions, and for every dollar you spend on email marketing you can expect to receive about $43 in return. Email marketing programs like MailChimp are incredibly user-friendly meaning there is really no excuse for not making email marketing a key aspect of your marketing efforts. For further details, take a look at How to Use MailChimp. Remember, people use the Internet first and foremost as tool for finding information. Know your product, know your market, your competitor’s product and anything else to do with your product and give this information to other websites for free. By providing useful, engaging information, other websites are more likely to link back to your site. When it comes to the Internet, if you provide you shall receive. Upselling and back-end sales are the best way to ensure that your customers purchase with you time and time again. 36% of customers will purchase through you again if you make the effort to follow up with them. You can follow up by sending out e-loyalty cards or codes, advertising products on the ‘Thank You for Purchasing’ page or by giving links to products that will compliment or enhance their original purchase. Once again, email marketing is your best friend when it comes to following up. As with any new business, if your potential customers don’t know you exist, then how can you expect to make sales? Chances are, you’re going to have to invest in some marketing and advertising. Marketing an ecommerce business is a smidgen different to marketing a bricks and mortar store. Obviously, you can’t rely on foot traffic or passers-by. You’ll need to embark upon Search Engine Optimsation (SEO) to ensure that your website is visible as high up the search engine rankings as possible. You might also wish to consider Search Engine Marketing (SEM) such as Google AdWords campaigns to attract clientele. For an ecommerce business, it really is all about digital marketing.